The accumulation of sulfur in the ears is a natural process. Sometimes under the influence of mechanical factors and moisture sulphur swells and blocks the ear the lumen, causing partial hearing loss. You can try to remove at home sulfur plugs out of your ears before you seek help to the doctor. Small waxy build-up you can try to remove by softening. 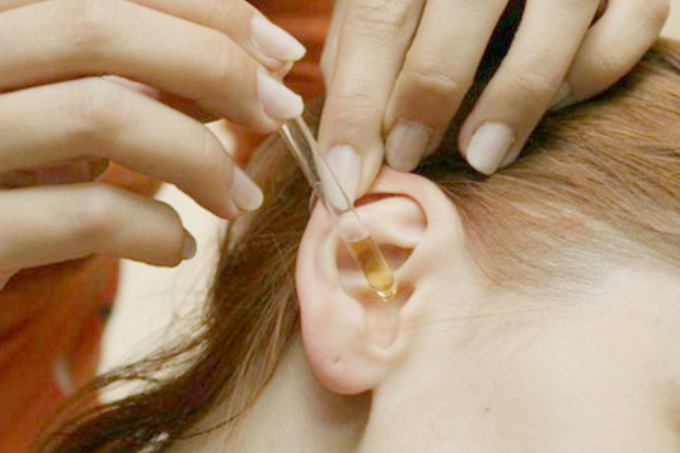 Prepare 3% hydrogen peroxide solution and using a clean syringe without a needle enter into the ear canal. Do not insert the syringe too deep – the jet of liquid under pressure reaches the tube and affects the sulfur mass. Hydrogen peroxide will hiss, to emerge with pieces of dissolved sulfur. Wait untill all the solution is to do this, tilt your head to the side. Wipe the ear with a cotton swab to remove residual moisture. Repeat the softening procedure twice a day for 7 days – usually much time is required to completely clear the passage and to restore hearing. After the procedure, warm up the ear with the bulb – so the ear will dry out faster. If during the procedure there are unpleasant sensations, pain or pressure, all manipulations should be discontinued and consult a doctor. Perform the removal procedure on their own. Prepare the ear for the removal of sulfur – bury a weak soda solution into the ear canal for three days. Soften sulfuric stopper – drip a few drops of hydrogen peroxide right ear canal. Wash the tube with a syringe – gently pull the ear upward and backward, pour water at room temperature under the pressure in the ear canal. Ear drop boric alcohol. Use special preparations for independent use. To remove at home sulfur plugs out of your ears, get in a drugstore solution for dissolving ear wax. Bury the emulsion according to the instructions – within 5 days standard tube dissolves and derive. Clean the ear canal 2 times a day. These drugs can also be used to prevent the formation of cerumen.